This ground-breaking festival offers an eclectic programme of over 130 events in venues across the city, including author Lionel Shriver, columnist and environmental campaigner George Monbiot and one of Ireland’s most distinguished former politicians, Mary Harney. The festival also hosts a major exhibition by leading local artist Rita Duffy and features talks, workshops, theatre, comedy, films, walking tours, exhibitions and lots more. Now in its fourth year, this ever-popular event will give visitors the opportunity to experience a whole range of art activities – expect everything from screen printing to clay work, sketching to jewellery making and so much more! Watch the artists at work or try your hand, guided by professionals. This free event is an excellent opportunity for people of all ages to get creative. One of the most anticipated amateur golf tournaments is here. For the very first time Team Ireland will be travelling to the United States to take on the USA. This is the Ulster Regional Qualifier for the tournament, and those who progress will play in the second round National Qualifier at Malone Golf Club. The event is open to any two-person team with a verifiable GUI Handicap. Whether you are a scratch golfer or a 20-handicap golfer you have an opportunity to qualify and represent team Ireland. Acclaimed travel writer Paul Clements visits the Island Arts Centre to delight audiences with tales from his 'rambles round Ireland'. Clements has published three books about travelling around Ireland - Burren Country, The Height of Nonsense and Irish Shores - and his wry wit and story-telling ability have seen copies flying off the shelves. Join professional florist, RHS Chelsea Gold Medal winner Yolanda Campbell for a unique day of creativity at Long Meadow Farm. Experience the magic and beauty of the orchard in early spring. Walking through the orchard, gathering fresh foliage and apple tree prunings, be inspired in the beautiful setting of Long Meadow. Later you will be able to create a beautiful table arrangement using your gathered foliage and flowers as Yolanda guides you through designing your own gift to take home or give to mum! Dog Friendly Tours are a new light hearted, fun walking experience for dog owners. Get out and about with your four legged friends and learn about the history of the places you will visit along the way. 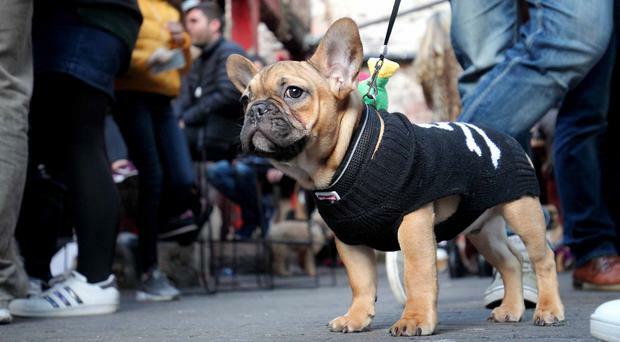 Enjoy food and drink at a host of dog friendly venues with a special treat for your furry friends at the end of the tour and plenty of watering holes en route. Creating a storm around the country, Shane, Dominic, and Derek - collectively The Three Tenors Ireland - promise a magical night to remember at the Lyric Theatre as they perform an exciting Celtic flavoured programme including Homes of Donegal and Caledonia. Packed with a selection of songs from the shows as well as by artists as diverse as R.E.M. and the Bee Gees, there’s something for everyone! Spoil your mum with a complimentary glass of prosecco on arrival followed by a delicious four-course lunch and entertainment from live band Conspiracy, covering everything from the swinging sixties right up to current chart hits. They’re sure to have you up on your feet dancing! There’s no need to worry about the kids getting bored either as there will be a magician and face painter to keep them entertained and provide plenty of laughs. This ongoing exhibition looks at the Enniskillen and Fermanagh Workhouse during the turbulent years of the Irish Famine, 1845-1849 and beyond. As the environs of the entrance block of the Enniskillen Workhouse undergo huge change, now is the time to stop and consider the life of the most important building on site so the exhibition also looks at the future of the workhouse buildings and their central role in revealing the past.